EAST PATCHOGUE, Long Island (WABC) -- Police in Suffolk County have released a new photo and video of a hit-and-run crash that killed a pedestrian in East Patchogue Sunday morning. Warren Karstendick was walking on the eastbound shoulder of Main Street, just west of Phyllis Drive, when he was struck by an eastbound vehicle around 6:55 a.m., police say. The driver fled the scene in the vehicle eastbound on Main Street. 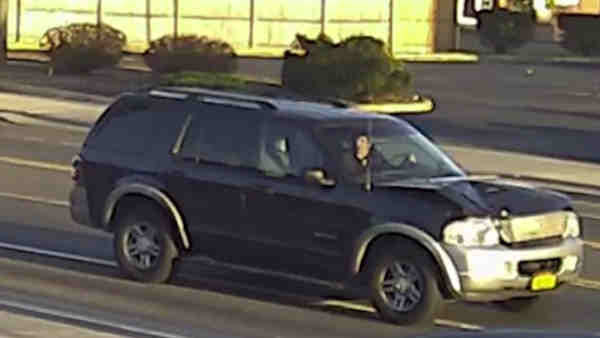 The suspect's vehicle is described as a 2002 to 2005 blue Ford Explorer with noticeable front end damage, specifically to the vehicle's hood and grill. Detectives are asking anyone with information on this crash to call the Major Case Unit at 631-852-6553 or Crime Stoppers at 1-800-220-TIPS.